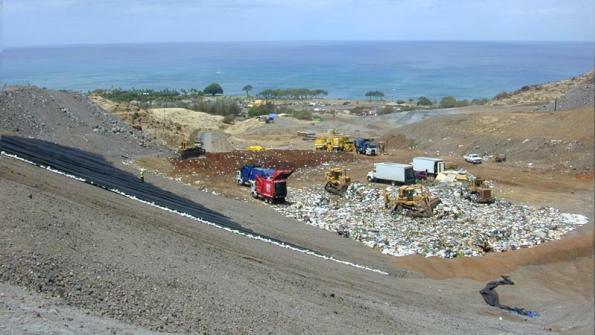 Instead of expanding their nearly full landfills, some waste administrators across the U.S. are opting to extend the lives of their landfills by grinding up trash to reduce the space it occupies. Hastings, Neb. is one such city. It chose to buy a solid waste shredder to minimize the density its trash takes up while saving money in the process, KSNB-TV reports. “By shredding the solid waste as it comes in, we're going to see a 75 percent reduction in volume," Hastings Solid Waste Superintendent Jack Newlun told KSNB-TV. Newlun added that using the shredder will expand the lifetime of the landfill, used by six neighboring counties, by 15 to 20 years. The Times Daily reports that in January, the Shoals Solid Waste Authority in Tuscumbia, Ala., bought a grinder to greatly reduce the 140+ tons of trash that enter it every day. It’s a much more efficient and cost-effective solution than adding more cells to the landfill — a 6 acre cell can cost as much as $200,000, the paper reports. “[The grinder] will increase the life of the landfill by four to five years,” Commissioner Rex Burleson told The Times Daily. While the above cases are speculative, the Great River Regional Waste Authority in Iowa is already seeing positive results from the grinder it bought in 2014, according to the Fort Madison Daily Democrat. The agency has considered expanding into additional landfill cells from its 48-acre parcel of additional land. But Great River Regional Waste Authority General Manager Wade Hamm said that expansion would cost $1.3 million. In contrast, the grinder, which cost a little over half of that figure, allowed the agency to expand its landfill cells’ existing life.